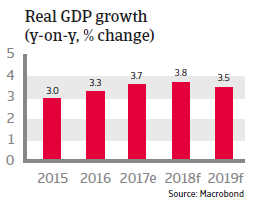 The Thai economy is forecast to grow by 3.8% in 2018, supported by public investments in infrastructure, rising household consumption and exports. The military junta, which has been ruling the country since 2014, is determined to remain in power for the time being. A referendum on a new constitution, designed to curb the powers of populist politicians and to preserve the military’s major political influence, was held in August 2016 and approved by 61% of voters. The new constitution went into effect in April 2017, while general elections are expected to be held in late 2018. After King Bhumibol’s death, his son Maha Vajiralongkorn succeeded him on the throne in December 2016. Thailand’s economy grew 3.7% in 2017, mainly due to robust export performance, increased tourist arrivals (tourism accounts for 45% of services output), public expenditure growth and higher private consumption. 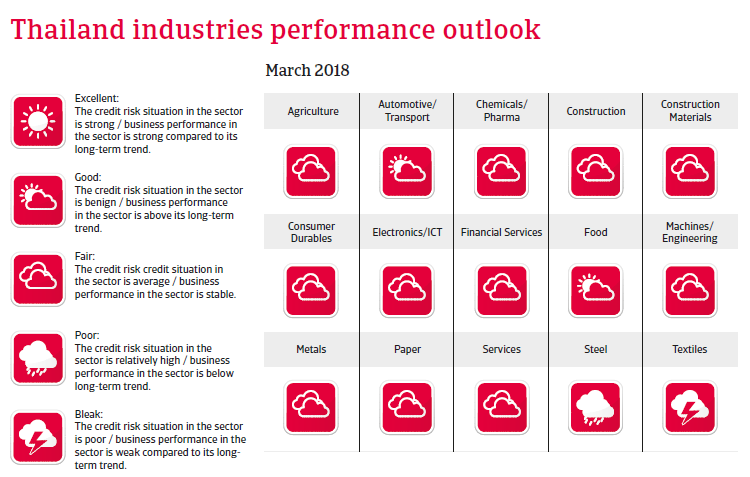 In 2018 a moderate acceleration in GDP growth to 3.8% is forecast. The economic expansion will again be supported by public investments in infrastructure and an export sector which is benefitting from robust growth in the neighbouring countries. 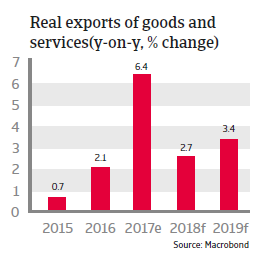 While the military-controlled government has declared economic revival to be its top priority and pursues policies to boost consumption and investments, the remaining political uncertainty has curbed private sector investments. The Thai banking sector is healthy, as banks are well capitalised. Monetary policy by the central bank is expected to remain loose in order to support growth. The Thai baht is subject to a managed floating exchange rate regime, which reduces volatility risks. Due to rising government spending and lower tax revenues both the fiscal deficit and government debt have increased since 2016. That said, government finances remain sustainable, as government debt remains below 50% of GDP. 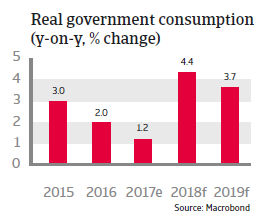 Public debt composition is quite favourable (only 6% is denominated in foreign currency), and public debt held by non-residents amounts to just about 15%. This insulates the government from external shocks. The country´s solid payment capacity and liquidity is underpinned by moderate foreign debt (in 2017: 30% of GDP and 39% of exports). 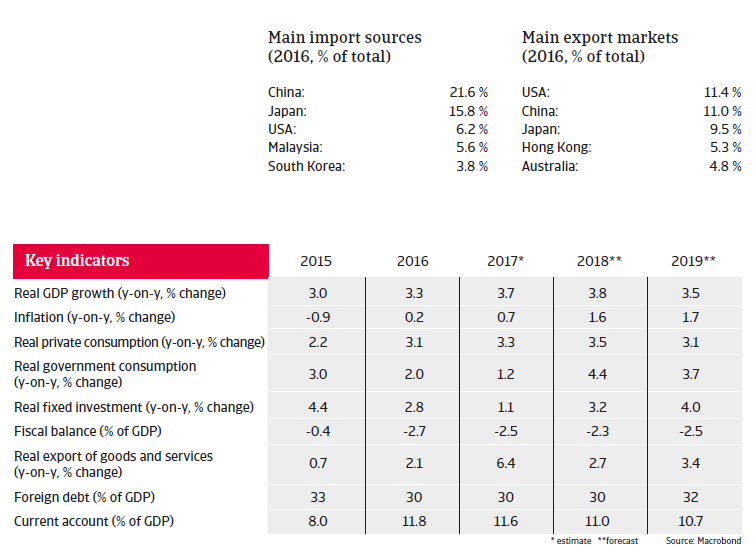 International reserves are forecast to amount to about 10 months of import cover in 2017 and 2018.